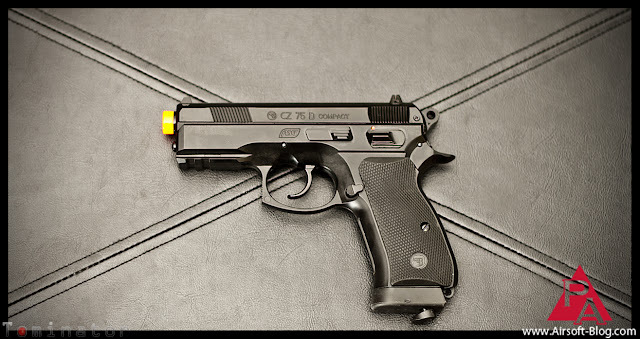 So here we have the Aftermath CZ75D CO2 Airsoft Blowback Pistol as my Airsoft review for today. It'll be part of a small series of blogs featuring this gun. 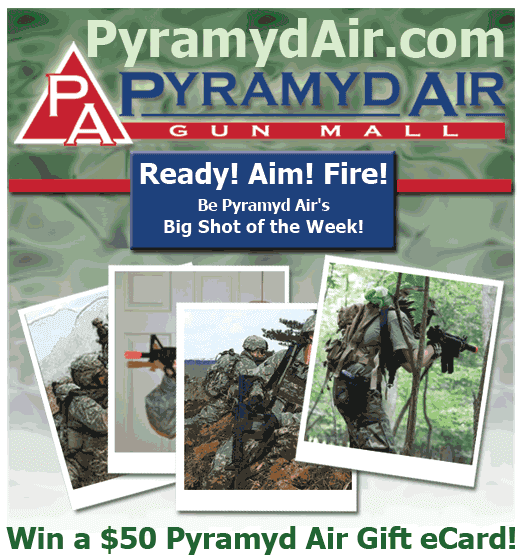 I'll be testing the performance in another post here on the Pyramyd Airsoft Blog. 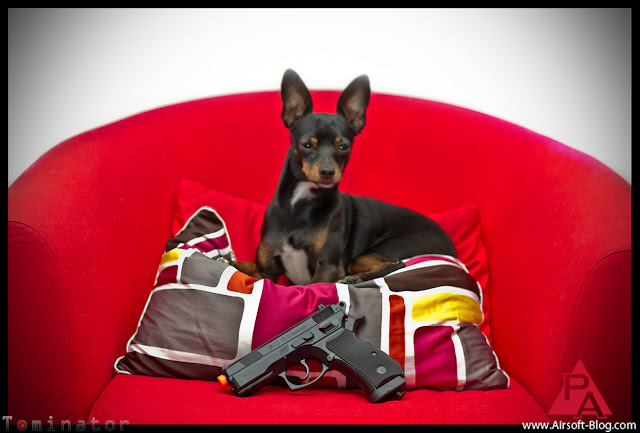 My Miniature Pinschers seem to be pretty comfortable with it. Must mean it's a pretty good gun. They refuse to have their photos taken with lame guns. Energy (per mfr): 345 fps with .20g BB. I'll be testing this for verification in a later review. Big plus for the white dots on the sights. 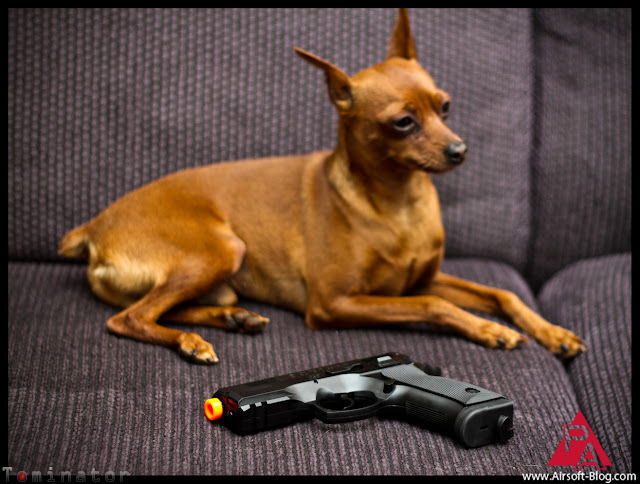 Makes target acquisition much easier than just plain black sights. 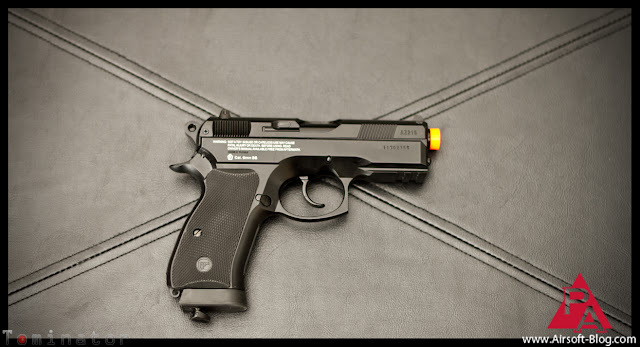 CO2 Magazine, CZ trades molded into the rubber, non-slip grips (which are quite nice! 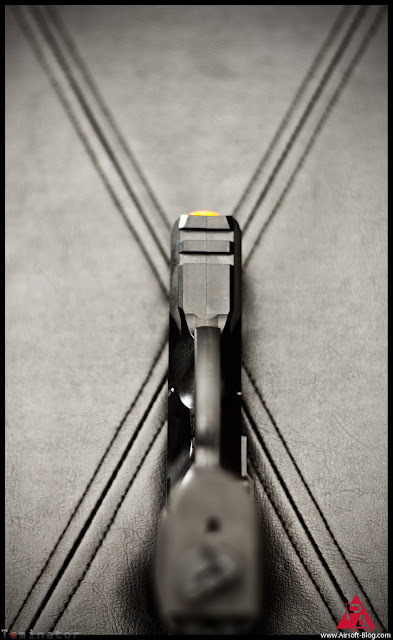 ), and last but not least, they've even included a pistol retention lanyard loop just behind the magazine base. I do have to mark the manufacturer down for the safety. 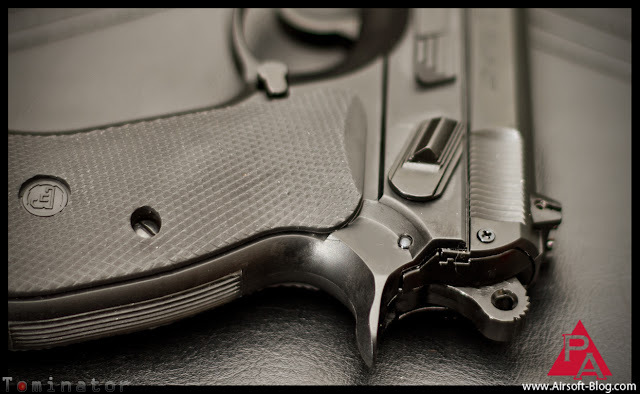 It's fairly difficult to switch back and forth, which will make it difficult to effectively operate the safety while quickly drawing the pistol from its holster. 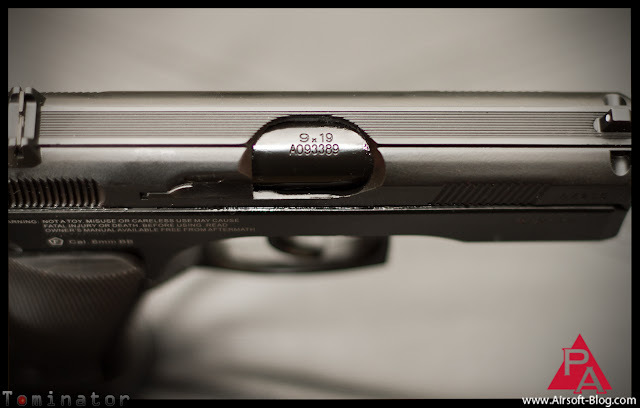 Sweet "9x19" markings stamped into the metal outer barrel. 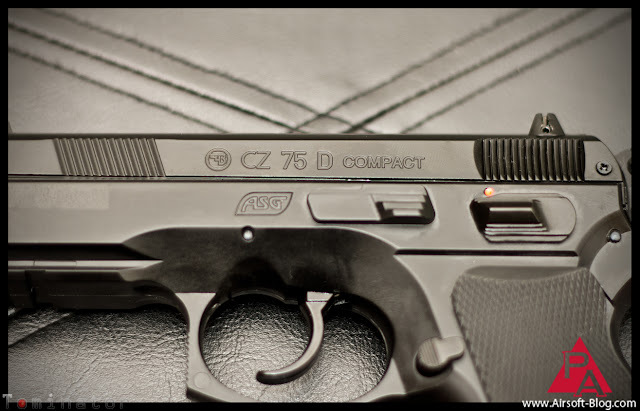 The markings, of course, are referencing the caliber in which the CZ firearm version of this gun is made. More stamped markings in the metal lower frame and the metal slide. I don't know what they mean, but let's pretend they're something super cool. 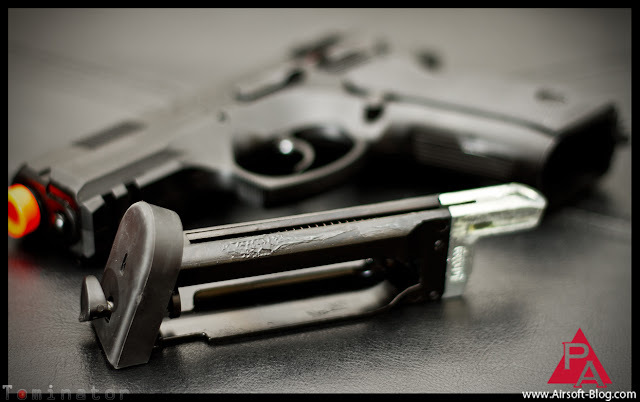 Licensed CZ trades on the metal slide, which were stamped, rather than painted. Another nice touch. The "ASG" you see stamped there as well references the company which holds the licensing and distributes this gun, I believe. 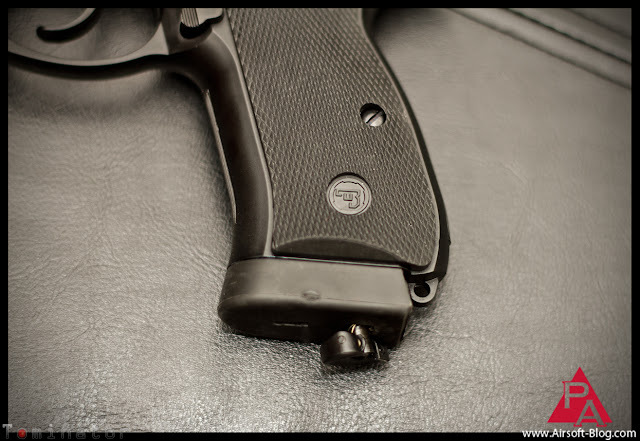 You'll also notice the front and back serrations on the slide, which are actually useful on this gun in pulling the slide back. 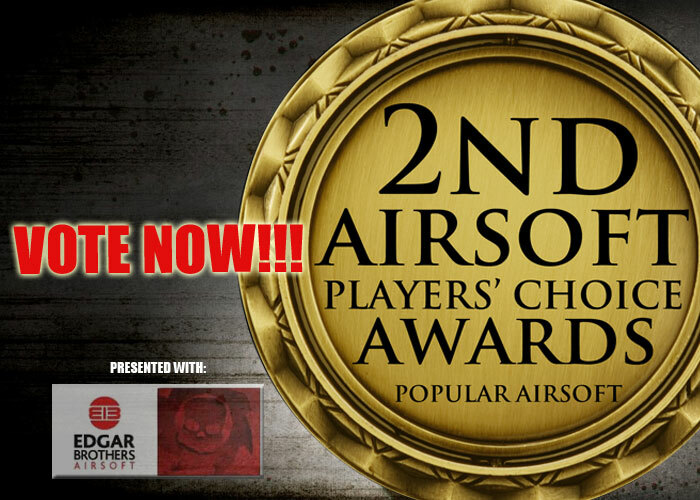 It takes quite a bit more effort than the normal Airsoft blowback guns I deal with in order to rack it. 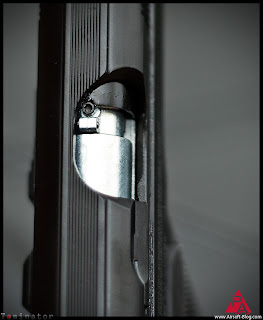 Here's a shot, below, of the 16-round CO2 magazine for the gun. The manufacturer added a bit of grease to the mag to lubricate it while it enters and exits the gun. However, I'd suggest wiping it off clean because you won't be able to store extra mags for this gun in your mag pouches, or even your pockets, without making a big, greasy mess in there. So I'm not sure what they were thinking there. Not a big deal though. Easy fix. Here's a close-up, below, with the slide pulled back to reveal the hop-up adjustment. 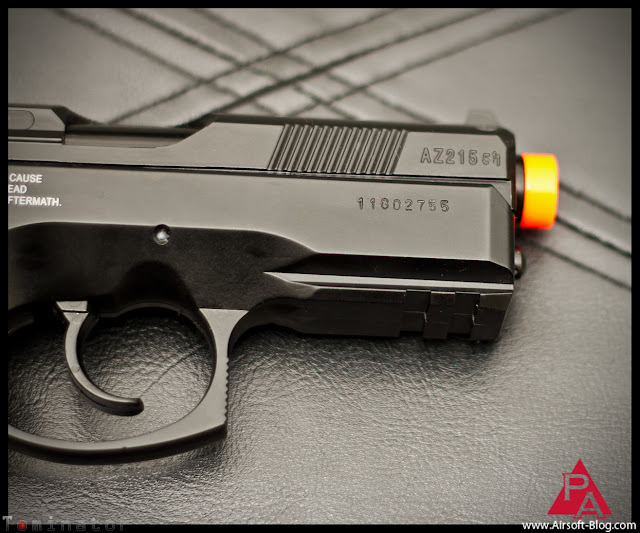 While you do need to use a tiny allen key to adjust it, the advantage over all the airsoft green gas pistols that I've reviewed is that you don't have to completely remove the slide in order to adjust the hop-up. Shot of the underside to show the Picatinny rail, which will allow you to mount a number of different pistol tac lights for operating in low light conditions. Always nice to have that option available. 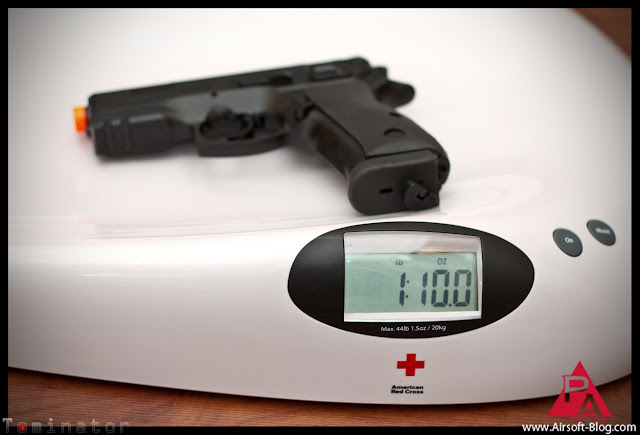 Above, you can see that I took the liberty of weighing the CZ75 on my ultra-sleek Airsoft gun scale, which is also functional for weighing infant children, should you require the need to do such a thing. You'll be sure to note the weight of 1 Lb, 10 oz. for this gun. The packaging indicates a weight of 1.77 lbs, which, according to a Google conversion, is 1 lb, 12 oz. There is no CO2 powerlet installed in the magazine, either, for the record. 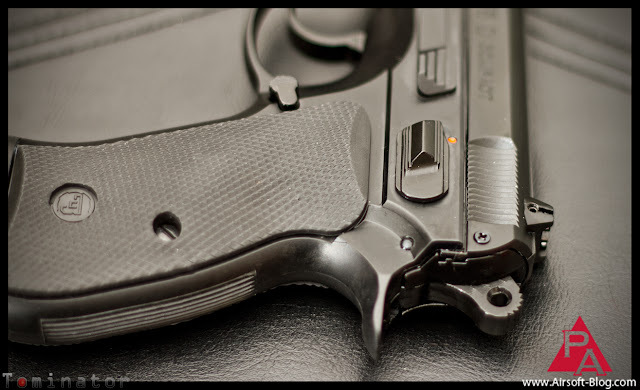 1 pound might now sound a lot, but this pistol definitely has the full-metal gun feel to it, in terms of weight. It's very solid. 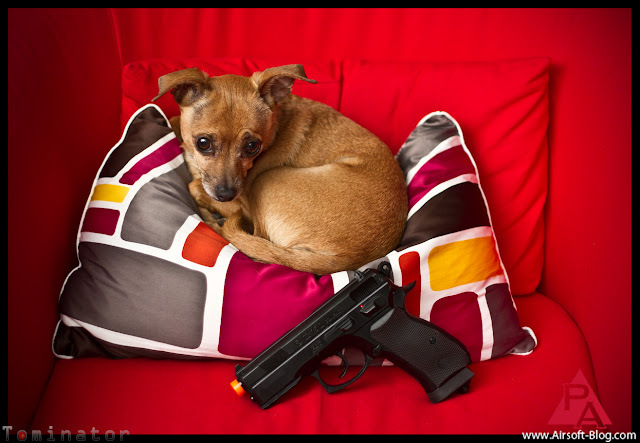 Now, it's very important to note that toddlers (small children) and guns of any kind should never be mixed, unless of course you're protecting that child from harm. 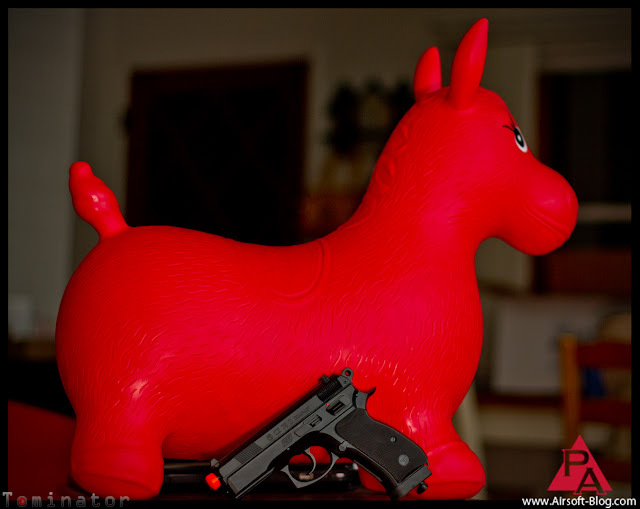 However, toddler toys and guns are fair game in my book. My almost-2-year-old son received an inflatable donkey thing for riding, jumping, hitting, spitting, biting, and/or beating, etc. as a gift from Santa this year. Why did I include this shot in the review, you might ask? Because I can. Have a great day. No live animals or inflatable donkeys were harmed in the making of this review.